Your standard shaker can pack it in. Our secret for creamy shakes? The BlenderBall. The BlenderBall® is what you have always been looking for. A small ball with an incredible effect. 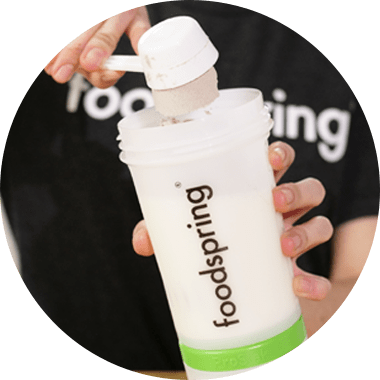 It makes sure that your protein shake or smoothie will be seriously creamy. And because we always want to give you the best, the Blender Ball is made to medical-grade quality. Thanks to the unscrewable containers, you can take the ingredients for your shake anywhere and mix them up fresh. At the gym, at the office or on your adventure trip – wherever you are. All in one. One for all. Water, milk or milk alternatives. 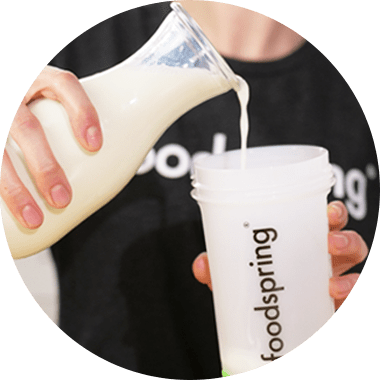 Your favourite protein powder, supplements or superfood powder. Until you have a creamy foam. It is best to do it every day. Our favourite recipes. For our favourite shakers. 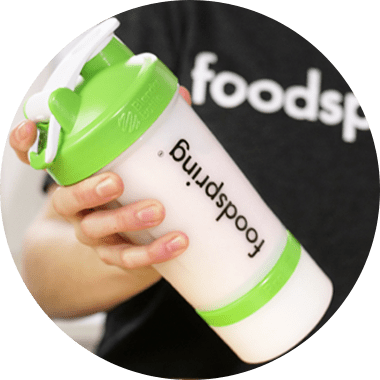 For fancy foodporn shakes, fresh smoothies with exotic ingredients, delicious milkshakes or simply with water: Our protein shakes do (almost) everything. Do you need some inspiration? We have that as well. How do you like it best? Do you like to shake things up? We do too. If you are not in the mood for shaking, then our protein shakes will do (almost) anything else. They are especially delicious when mixed with fresh fruit, in a smoothie or as a refreshing frappuccino. We have put together a few of our favourite recipes. Pour the liquid into a blender. Add all the other ingredients. Put all the ingredients in a blender of your choice and mix until you get a creamy shake. What is so special about this shaker? To be honest, everything. The BlenderBall® is responsible for the creaminess of your shake. The StayOpen™ closure is great for when you're at the gym or out and about. The Twist ‘n’ Lock™ System makes your shaker totally leak-proof. And the containers for powders and supplements are just what you need. As the name suggests: Nothing can go wrong with this shaker! 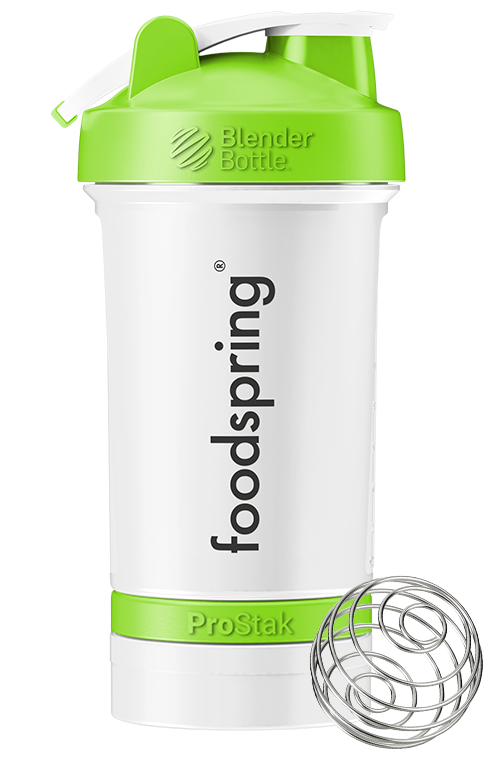 The BlenderBall® is a special metal ball that makes your shake creamy. Its shape also makes it suitable for thicker liquids. It was made according to medical guidelines, so we can guarantee the safety and quality of your food. Is the Premium Shaker dishwasher safe? Yes, you can easily clean all parts of the Premium Shaker in the dishwasher. Of course, our shakers are BPA-free. We make sure that you get only the best quality. For unadulterated enjoyment. Premium Shaker will be back in stock shortly.